"The Belfry" linocut has been selected to show at the 49th Annual Richardson Civic Art Society Regional Art Show, Richardson, TX (Juror: Gladys Roldan-de-Moras). The show will be held at the Charles W. Eisemann Center in Richardson, TX – May 1 - May 26, 2015. The linocut Greek Fishing Boats and woodblock Angel of the Arts have been selected to show in the Community Art Wall Exhibit at the Methodist Richardson Medical Center in Richardson, TX – June 30 - Sept 29, 2014. The woodblock "Angel of the Arts" won Second Place in the pastel and graphics category at the 48th Annual Richardson Civic Art Society Regional Art Show, Richardson, TX (Juror: Xian Zhang). The Linocut Greek Fishing Boats was also selected for the show that was held at the Charles W. Eisemann Center in Richardson, TX – May 1 - May 27, 2014. Charles F. Mann is one of seven artists in the Exhibition at Huffhines Recreation Center, Richardson Civic Art Society, Richardson, TX – Woodblock Angel of the Arts – Mar 6 - May 31, 2014. The Linocut Greek Fishing Boats and Linocut The Belfry, were shown at the Bob Duncan Center at Vandergriff Park in Arlington, TX – Feb. 6 - Mar. 28, 2014 for Arlington Visual Arts Association 38th Annual Regional Juried Art Exhibit (Juror: Diane Walker-Gladney). 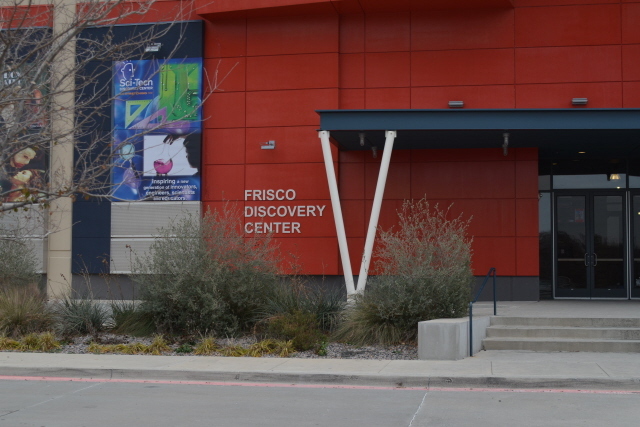 Seven of the Charles F. Mann prints were displayed in Frisco, Texas (north of Dallas) at the juried imPRESS Printmaking Exhibit at the Frisco Art Gallery in the Frisco Discovery Center, January 7-31, 2014. The linocut, "Greek Fishing Boats," won an Honorable Mention. The jurors were Matt Bagley (last year's winner), Adam Palmer, and H. Schenck. The woodblock "Angel of the Arts" won First Place in the 2013 ArtNewsDFW Artist Holiday Challenge. It was selected by popular online vote in December 2013. The Art News DFW is an online organization that supports working artists and nonprofit orginazations around the Dallas / Ft. Worth metroplex in Texas. The Richardson Civic Art Society Membership Show was held from October 5 to November 2, 2013 in the Richardson Library in Richardson, Texas. It was jurored by Jane E. Jones. Two of Charles F. Mann's pieces were in the show: the linocut, "The Belfry," which won second place in the graphics category and the "Red Sky" diptych. Two linocuts, "The Winds of Change" and the "African Penguin" were on display from March 23 until April 27, 2013 at the Richardson Library in Richardson, Texas. They were part of The Fifty Plus Show presented by The Richardson Civic Art Society jurored by Dave Kramer. The "African Penguin" piece won a Merchandise Award in the Pastel/Graphics category. In the Arlington Visual Arts Association's 37th Annual Regional Juried Art Exhibit that run from Feb. 8 through Mar. 22, 2013, the linocut "African Penguin" won the Jean Baker Memorial Award. The show was held at the Bob Duncan Center at Vandergriff Park in Arlington, Texas. This piece, along with the other winning works, went on to be displayed in the Arlington Museum of Art, Arlington, Texas from April 5 through May 24, 2013. The "African Penguin" linocut received the First Place award from the members voting of the Richardson Civic Art Society in its Painting of the Month competition for January 2013 in Richardson, Texas. The photo below is from the RCAS February 2013 newsletter, The Sketchpad. 2nd Place Lisa Alderson "Vibrant Cactus"
1st Place Charles Mann "African Penguin"
That print was displayed until February 21, 2013 in the foyer of the Artists' Showplace in Dallas, Texas. Three of the Charles F. Mann prints were on display in Frisco, Texas (north of Dallas) at the imPRESS Printmaking Exhibit at the Frisco Art Gallery in the Frisco Discovery Center, January 7-31, 2013.